KIITEE Application Form 2019 – Kalinga Institute of Industrial Technology had released the KIITEE 2019 application form on November 16, 2018. 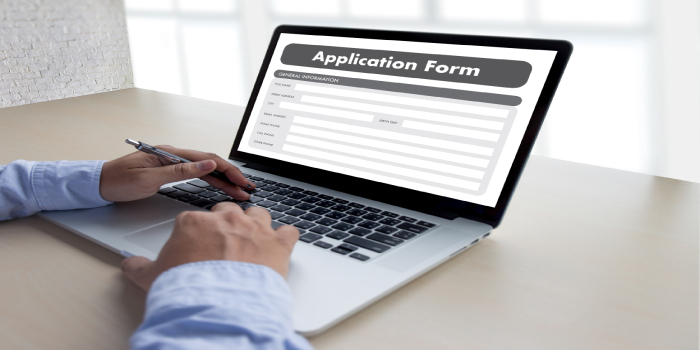 The KIITEE application form 2019 was available to candidates in the online mode. Before filling the KIITEE 2019 application form candidates were made sure that they go through the KIITEE eligibility criteria 2019. Earlier, the last date to register was March 31, 2019 which had been extended to April 10, 2019. Candidates who wished to appear for the entrance examination were made sure to fill the application form of KIITEE 2019 before April 10, 2019, 2019. Candidates were made sure to enter all the necessary details carefully while filling the KIITEE application form 2019. Candidates were also required to upload the documents mentioned in the KIITEE 2019 application form. Candidates could check the list of documents here. Candidates were made sure that no applications were accepted after the last date to submit the applications were over. Read more to know the steps to download and fill the application form and the documents to be uploaded online. Candidates who wish to apply for KIITEE 2019 could follow the steps given here to fill the of KIITEE application form 2019. Click on the course of your choice. If you wish to edit the course you can do so by clicking on the edit button and choosing the course of your choice. Fill in the details asked for in the KIITEE 2019 application form. Upload the documents asked for in the application form. After all the documents are uploaded click on the submit button. In the KIITEE 2019 Application Form, candidates were given the option to choose the course of their choice at the beginning itself. A list of courses was given by which candidates can choose. The valid combination courses were also provided alongside the list of courses. Candidates were made sure to upload the documents as per the size was given in the article. Candidates could select here the choice of exam centres where they wished to appear for KIITEE 2019. while entering the centres candidates were made sure that they chose an exam centre city which was convenient for them. Here candidates needed to upload the documents which were asked for in the application form of KIITEE 2019. Candidates were made sure that they uploaded the documents as per the size mentioned in the application form.